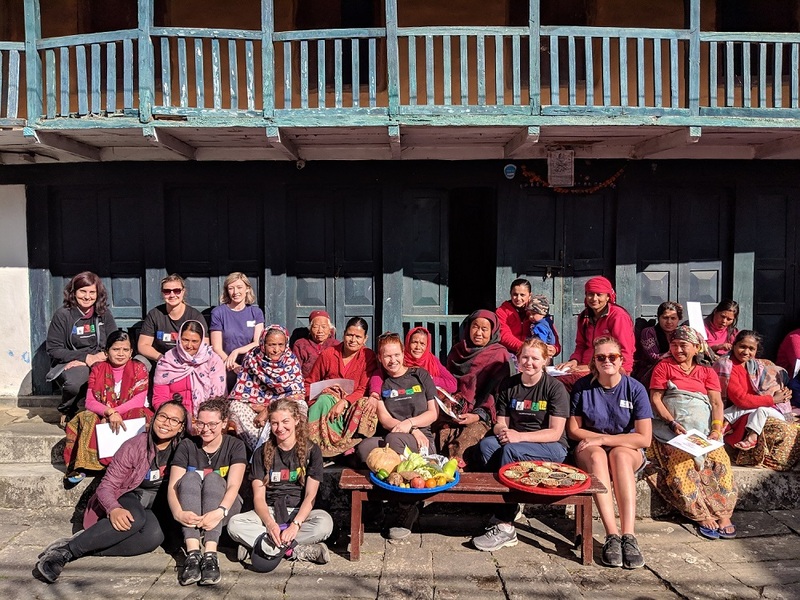 25 January 2019: University of Canberra Health students and the Canberra-based REACH for Nepal Foundation travelled to Nepal in December last year, in a bid to improve health outcomes in the country’s remote villages. The trip was the first in the four-year Community Rebuild Program, which aims to provide progressive education on nutrition and basic hygiene in rural Nepal. UC students with the women's community group from the Khora Ko Mukh Macchapucchare Rural Municipality, where they had a session on the Poshan Nanglo concept for better nutrition. 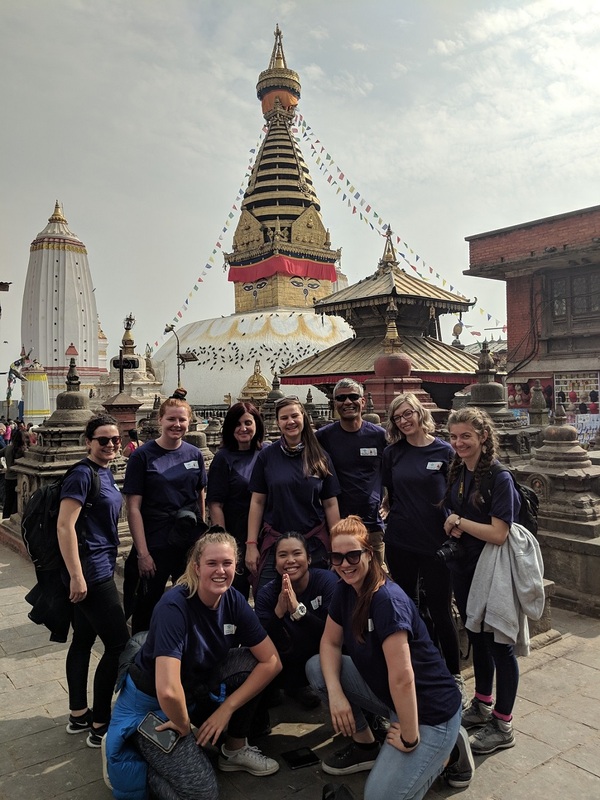 Led by the Faculty of Health’s Assistant Professor Tanya Lawlis, the trip saw eight students getting a valuable opportunity to apply their knowledge in real world ways, while gaining a wider perspective on global health issues and immersing themselves in Nepali culture. For Assistant Professor Lawlis however, one of the trip’s most invaluable aspects was that it showed the students what a difference they could make in the world. “The trip gave them a sense of confidence that even doing something small to help can make such a big change, mean so much to people,” she said. 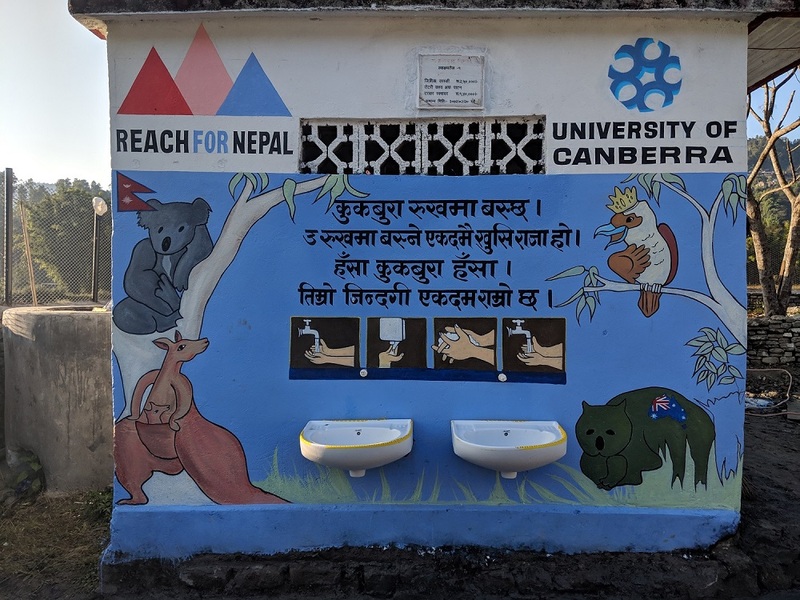 The UC students' poster on the four steps of proper hand-washing, with the words to classic Australian children's song Kookaburra in Nepali script. The children sang it every time they washed their hands. The Community Rebuild Program comprised two projects, each with an academic and community focus. In the Khora Ko Mukh Macchapucchare Rural Municipality, students provided nutrition education to the local women’s community group. This was based on the Poshan Nanglo concept pioneered by a local Nepali nutritionist working with UNICEF; the concept is built around seven complementary and locally-available food groups. The students also taught local schoolchildren about the importance of hand hygiene to prevent the spread of disease. They provided the school with soap and towels, and assisted in major renovations to the amenities block, building wash basins and a water filtration system. The trip included visits to hospitals, rural health posts, Pokhara University and the National Innovation Centre, all to gain perspectives on health care delivery, empowering vulnerable groups and connecting rural areas in a challenging environment. They visited heritage-listed sites, and capped the trip with a low altitude trek in the Himalayas. “We met very interesting people from various health and tertiary institutions in Nepal, exploring future collaborations and potential ways to leverage their knowledge and services in future programs,” Assistant Professor Lawlis said. One of the highlights was meeting the Australian Ambassador to Nepal, His Excellency Peter Budd. “It was really interesting to hear his perspective on the assistance Australia is providing to Nepal,” said Mr Lachhu Thapa, co-founder of the Foundation. The University of Canberra and the REACH for Nepal foundation will develop a sustainable program of improving health outcomes for a group of villages.